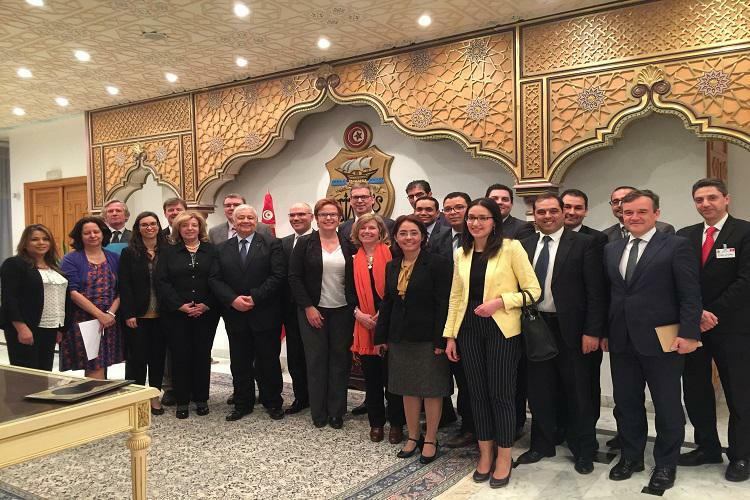 Assessing the partnership and identifying the ambitions for the coming years were on the agenda of the Tunisia-EU association committee which was held last week in Tunis. The meeting was preceded by a consultation of Tunisian civil society representatives, which about 40 NGOs took part in. Both parties took stock of last year in terms of dialogue, including partnership with youth, democratic transition, good governance and human rights, inclusive and sustainable socio-economic development, mobility and migration, safety and fight against terrorism, as well as financial cooperation. They reviewed the issues specific to the operation of the partnership and prepared the association council which is due to be held on 15 may in Brussels and which will bring together the Tunisian foreign minister, the High Representative of the EU for Foreign Affairs and Security Policy / Vice President of the Commission, the Commissioner for European Neighbourhood Policy and Enlargement Negotiations and the foreign ministers of the EU member states.